This year we celebrated 150 years in business and what a year it has been! Following a complete transformation of our business 5 years ago and a switch to employee ownership in 2012 we are now finally on a track with a clear destination. The greatest transformation in our company history and one, I have to say, gives us reassurance for the future. We would just like to take this opportunity to say a huge thank you to all of our colleagues who make work that much more enjoyable, our customers for their loyalty and patience and our suppliers for their support through this phase. This has been a satisfying year but not one without its challenges. Despite these however, we have achieved a great deal and look forward to 2015 with renewed vigour. With our current very loyal customers, supportive suppliers and not least our very flexible and motivated employees we will achieve our objectives. We still have much to learn and there will be pain and discomfort along the way but our determination will get us there! 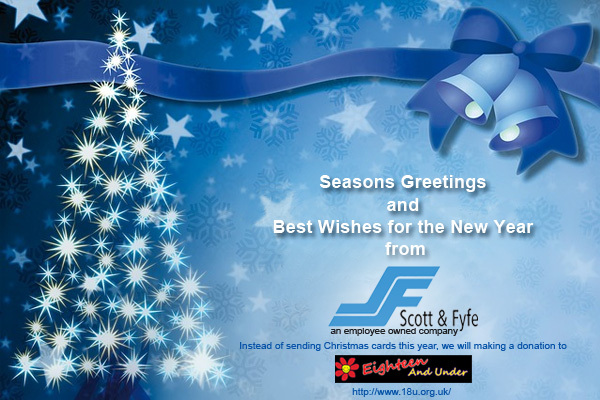 Again we’d like to wish all of our friends a Very Merry Christmas and a Healthy, Happy and Prosperous 2015.